'Tis the season of gift knitting. I know some people detest knitting for others... but I am not one of those people. I love knitting from my heart. Each row, each stitch is full of hopes and wishes, prayers for the recipient. Knitting with someone in mind is almost like a mediation on the person. The knitting process becomes a walk down memory lane... movies play in my mind of sweet times with whoever I'm knitting for. And so, each year I always swear that next year I won't bite off quite so much Christmas knitting. But... every year I get giddy with making project lists because it is simply a joy to put so much thought into hand knit gifts. A joy to give to those who appreciate the time and skill each project takes. 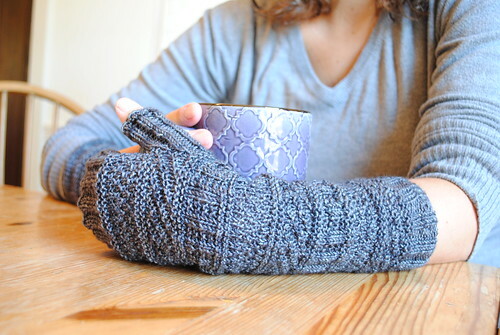 A joy to imagine a loved one opening and smiling and smoothing a pair of mitts or socks or a hat made just for them. Nothing is more special than bits of yarn knitted together to resemble a gift of warmth from ones heart. Like a meditation on the person...this rings true for me when I'm creating for children I have never met, and also for other handmade gifts for family and friends during the holidays. I love that you have described this ineffable process of transformation and heart-centered exchange. I agree. I have made a few woolie Christmas gifts and I can't to give them away to someone, who appreciate my knitted pieces.